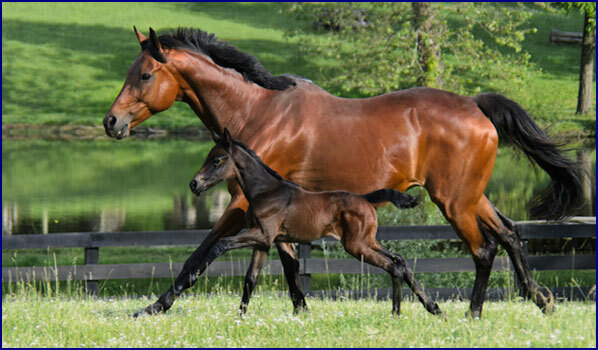 Windchase proudly offers a selection of young homebred horses, ranging from weanlings to three and four-year olds, sired by our stallion, Brandenburg's Windstar. We have combined the finest Irish jumping and Eventing bloodlines with outstanding American Thoroughbred mares to produce some lovely 3/4 bred youngsters with the potential to excel in all disciplines. 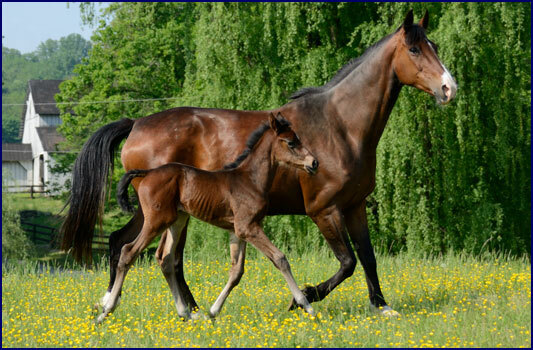 Learn more about this versatile and talented breed at our About Irish Horses page. Click here to see Windstar's Video online. 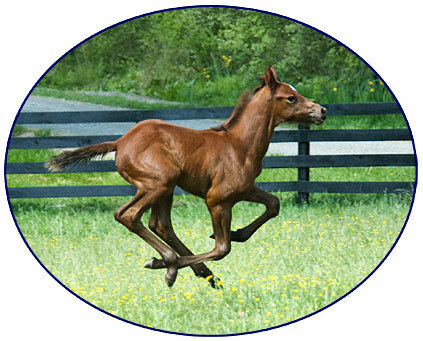 Windstar's foals have inherited their sire's athletic ability, lovely movement, exceptional jump, and great personality. They are stamped with his correct conformation and gaits, and also with his attractive head and beautiful eyes. 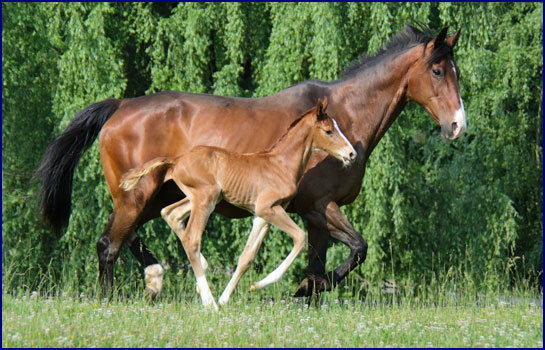 His offspring are now having a great deal of success both Eventing and in the Show Ring. This page is dedicated to Windstar's foals; see photos of competition horses he has sired in action on Windstar's Offspring. Some of his older progeny can be found on the Horses for Sale page. This is a rare opportunity to purchase a top quality Irish Sport Horse at an affordable price, without traveling overseas; now you can get the best of Ireland's bloodlines without leaving home. In honor of their sire Windstar, who is by I'm A Star, all of our homebred Windstar babies are given names relating to stars. Tiffany Star - 2012 filly by Windstar, out of a beautiful TB mare named Mah.. True Destiny - 2012 colt out of Sirius (Windstar's sister), by Salute the Truth. 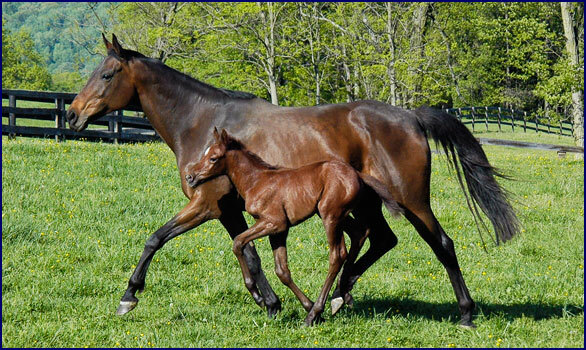 Radiance - 2011 filly out of Sirius (Windstar's sister), by Salute the Truth. Of Starry Skies - 2010 colt by Brandenburg's Windstar, out of TB mare Gold Trinket. Lone Star - 2009 colt by Windstar, out of TB mare North River Lady. Glen Coe - 2009 colt out of Sirius (Windstar's sister), by Orujo de la Galerna. Phoenix Star - 2008 gelding by Windstar, out of TB mare North River Lady. Aquilla - 2008 gelding by Brandenburg's Windstar, out of TB mare Gold Trinket. Galerna Star - 2008 filly out of Sirius (Windstar's sister), by Orujo de la Galerna.